Lin X, Casas J, Pardàs M. One Shot Learning for Generic Instance Segmentation in RGBD Videos. In International Conference on Computer Vision, Theory and Applications. Prague: SciTePress; 2019. Ramon E, Villar J, Ruiz G, Batard T, Giró-i-Nieto X. Plug-and-Train Loss for Model-Based Single View 3D Reconstruction. In BMVA Technical Meeting: 3D vision with Deep Learning. 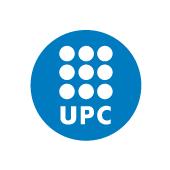 London, UK: UPC; 2019. Salembier P. Processing Radar Images with Hierarchical Region-Based Representations and Graph Signal Processing Tools. In Workshop on Digital Topology and Mathematical Morphology associated to the 21st IAPR International Conference on Discrete Geometry for Computer Imagery, Keynote speech. Paris, France; 2019. Casamitjana A, Vilaplana V, Petrone P, Molinuevo JLuis, Gispert JD. Shared latent structures between imaging features and biomarkers in early stages of Alzheimer's disease. In Workshop on Predictive Intelligence in Medicine (PRIME), MICCAI. Granada, Spain; 2018. Bakas S, Reyes M, Jakab A, Bauer S, Casamitjana A, Vilaplana V, et al.. Identifying the best machine learning algorithms for brain tumor segmentation, progression assessment, and overall survival prediction in the BRATS challenge. In MICCAI - Multimodal Brain Tumor Segmentation Challenge. 2018. Caminal I, Casas J, Royo S. SLAM-based 3D outdoor reconstructions from LIDAR data. In IC3D. Brussels, Belgium: IEEE; 2018. Salvador A, Bellver M, Baradad M, Campos V, Marqués F, Torres J, et al.. Recurrent Neural Networks for Semantic Instance Segmentation. In ECCV 2018 Women in Computer Vision (WiCV) Workshop. 2018. Campos V, Giró-i-Nieto X, Torres J. Importance Weighted Evolution Strategies. In NIPS 2018 Deep Reinforcement Learning Workshop . Montreal, Quebec; 2018. Xu Z, Vilaplana V, Morros JR. Action Tube Extraction based 3D -CNN for RGB-D Action Recognition. In International Conference on Content-Based Multimedia Indexing CBMI 2018. 2018. Surís D, Duarte A, Salvador A, Torres J, Giró-i-Nieto X. Cross-modal Embeddings for Video and Audio Retrieval. In ECCV 2018 Women in Computer Vision Workshop. Munich, Germany: Springer; 2018. Fernàndez D, Bou-Balust E, Giró-i-Nieto X. Linking Media: adopting Semantic Technologies for multimodal media connection. In International Semantic Web Conference - ISWC (Industry Track). Monterey, CA, USA; 2018. Assens M, McGuinness K, Giró-i-Nieto X, O'Connor N. PathGAN: Visual Scanpath Prediction with Generative Adversarial Networks. In ECCV 2018 Workshop on Egocentric Perception, Interaction and Compution (EPIC). Munich, Germany: Springer; 2018. Gené-Mola J, Gregorio E, Guevara J, Auat F, Escolà A, Morros JR, et al.. Fruit Detection Using Mobile Terrestrial Laser Scanning. In AgEng 2018,. Wageningen (Netherlands); 2018. López-Palma M, Morros JR, Gago J, Corbalán M. Who watches the watchers? Quality control of the human inspection in production lines using Visual Intensity of Attention. In SAAEI 2018. Barcelona; 2018. Salvador A, Bellver M, Baradad M, Campos V, Marqués F, Torres J, et al.. Recurrent Neural Networks for Semantic Instance Segmentation. In CVPR 2018 DeepVision Workshop. 2018. Alsina A, Giró-i-Nieto X, Gurrin C. An Interactive Lifelog Search Engine for LSC2018. In Lifelog Search Challenge workshop at ICMR2018. Yokohama, Japan: ACM; 2018. López-Palma M, Morros JR, Gago J, Corbalán M. Oriented trajectories as a method for audience measurement. In 27th International Symposium on Industrial Electronics (ISIE). Cairns, Australia: IEEE; 2018. Sanchez-Escobedo D, Lin X, Casas J, Pardàs M. HybridNet for Depth Estimation and Semantic Segmentation. In ICASSP 2018. Calgary, Alberta, Canada: IEEE; 2018. Fernàndez D, Varas D, Bou E, Giró-i-Nieto X. What is going on in the world? A display platform for media understanding. In IEEE Multimedia Information Processing and Retrieval (MIPR) Conference. Miami, FL (USA): IEEE; 2018. Shou Z, Pan J, Chan J, Miyazawa K, Mansour H, Vetro A, et al.. Online Action Detection in Untrimmed, Streaming Videos. In European Conference on Computer Vision (ECCV). Munich, German; 2018. Fojo D, Campos V, Giró-i-Nieto X. Comparing Fixed and Adaptive Computation Time for Recurrent Neural Network. In International Conference on Learning Representations (ICLR). Vancouver, Canada; 2018. Campos V, Jou B, Giró-i-Nieto X, Torres J, Chang S-F. Skip RNN: Learning to Skip State Updates in Recurrent Neural Networks. In International Conference on Learning Representations (ICLR). 2018. Luque B, Morros JR, Ruiz-Hidalgo J. Spatio-Temporal Road Detection from Aerial Imagery using CNNs. In International Conference on Computer Vision Theory and Applications. Porto, Portugal; 2017. Salvador A, Baradad M, Giró-i-Nieto X, Marqués F. Recurrent Semantic Instance Segmentation. In NIPS 2017 Women in Machine Learning Workshop (WiML). Long Beach, CA, USA: NIPS 2017 Women in Machine Learning Workshop; 2017. Duarte A, Surís D, Salvador A, Torres J, Giró-i-Nieto X. Temporal-aware Cross-modal Embeddings for Video and Audio Retrieval. In NIPS 2017 Women in Machine Learning Workshop (WiML). Long Beach, CA, USA: NIPS 2017 Women in Machine Learning Workshop; 2017. Bellver M, Maninis K-K, Pont-Tuset J, Torres J, Giró-i-Nieto X, Van Gool L. Detection-aided liver lesion segmentation using deep learning. In ML4H: Machine Learning for Health Workshop at NIPS 2017. 2017. Fernàndez D, Varas D, Espadaler J, Ferreira J, Woodward A, Rodríguez D, et al.. ViTS: Video Tagging System from Massive Web Multimedia Collections. In ICCV 2017 Workshop on Web-scale Vision and Social Media . Venice, Italy; 2017. Gurrin C, Giró-i-Nieto X, Radeva P, Dimiccoli M, Dang-Nguyen D-T, Joho H. LTA 2017: The Second Workshop on Lifelogging Tools and Applications. In ACM Multimedia. Mountain View, California USA: ACM; 2017. Fernàndez D, Woodward A, Campos V, Jou B, Giró-i-Nieto X, Chang S-F. More cat than cute? Interpretable Prediction of Adjective-Noun Pairs. In ACM Multimedia 2017 Workshop on Multimodal Understanding of Social, Affective and Subjective Attributes. Mountain View, CA (USA): ACM SIGMM; 2017. Lidon A, Bolaños M, Dimiccoli M, Radeva P, Garolera M, Giró-i-Nieto X. Semantic Summarization of Egocentric Photo Stream Events. In ACM Multimedia 2017 Workshop on Lifelogging Tools and Applications. Mountain View, CA, USA: ACM; 2017. Jiménez A, Álvarez JM, Giró-i-Nieto X. Class Weighted Convolutional Features for Visual Instance Search. In 28th British Machine Vision Conference (BMVC). London, UK; 2017. Pujol-Miró A, Ruiz-Hidalgo J, Casas J. Registration of Images to Unorganized 3D Point Clouds Using Contour Cues. In The 25th European Signal Processing Conference (EUSIPCO 2017). Kos island, Greece: Eurasip; 2017. Campos V, Jou B, Giró-i-Nieto X, Torres J, Chang S-F. Skip RNN: Learning to Skip State Updates in Recurrent Neural Networks. In NIPS Time Series Workshop 2017. Long Beach, CA, USA; 2017. Lin X, Casas J, Pardàs M. 3D Point Cloud Segmentation Using a Fully Connected Conditional Random Field. In The 25th European Signal Processing Conference (EUSIPCO 2017). Kos island, Greece: Eurasip/IEEE; 2017. Assens M, McGuinness K, Giró-i-Nieto X, O'Connor N. SaltiNet: Scan-path Prediction on 360 Degree Images using Saliency Volumes. In ICCV Workshop on Egocentric Perception, Interaction and Computing. Venice, Italy: IEEE; 2017. Le N, Bredin H, Sargent G, India M, Lopez-Otero P, Barras C, et al.. Towards large scale multimedia indexing: A case study on person discovery in broadcast news. In International Workshop on Content-Based Multimedia Indexing - CBMI 2017. Firenze, Italy; 2017. Campos V, Sastre F, Yagües M, Bellver M, Giró-i-Nieto X, Torres J. Distributed training strategies for a computer vision deep learning algorithm on a distributed GPU cluster. In International Conference on Computational Science (ICCS). Zurich, Switzerland: Elsevier; 2017. Romero-Lopez A, Burdick J, Giró-i-Nieto X, Marques O. The Impact of Segmentation on the Accuracy and Sensitivity of a Melanoma Classifier based on Skin Lesion Images. In Annual Meeting of the Society of Imaging Informatics in Medicine (SIIM). Pittsburgh, PA, USA: Society of Imaging Informatics for Medicine; 2017. Lin X, Campos V, Giró-i-Nieto X, Torres J, Canton-Ferrer C. Disentangling Motion, Foreground and Background Features in Videos. In CVPR 2017 Workshop Brave New Motion Representations. 2017. Torres J, Sastre F, Yagües M, Campos V, Giró-i-Nieto X. Scaling a Convolutional Neural Network for classification of Adjective Noun Pairs with TensorFlow on GPU Clusters. In 17th IEEE/ACM International Symposium on Cluster, Cloud and Grid Computing (CCGrid). Madrid, Spain: IEEE; 2017. Salvador A, Hynes N, Aytar Y, Marin J, Ofli F, Weber I, et al.. Learning Cross-modal Embeddings for Cooking Recipes and Food Images. In CVPR. Honolulu, Hawaii, USA: CVF / IEEE; 2017.
van Sabben D, Ruiz-Hidalgo J, Suau X, Casas J. Collaborative voting of 3D features for robust gesture estimation. In International Conference on Acoustics, Speech and Signal Processing. New Orleans, USA; 2017. Bazazian D, Casas J, Ruiz-Hidalgo J. Segmentation-based Multi-Scale Edge Extraction to Measure the Persistence of Features in Unorganized Point Clouds. In International Conference on Computer Vision Theory and Applications. Porto, Portugal; 2017. Romero-Lopez A, Burdick J, Giró-i-Nieto X, Marques O. Skin Lesion Classification from Dermoscopic Images using Deep Learning. In The 13th IASTED International Conference on Biomedical Engineering (BioMed 2017). Innsbruck Austria; 2017. Pan J, Canton-Ferrer C, McGuinness K, O'Connor N, Torres J, Sayrol E, et al.. SalGAN: Visual Saliency Prediction with Generative Adversarial Networks. In CVPR 2017 Scene Understanding Workshop (SUNw). Honolulu, Hawaii, USA; 2017. Casanova A, Pujol-Miró A, Ruiz-Hidalgo J, Casas J. Interactive Registration Method for 3D data Fusion. In IC3D. Liège, Belgium: IEEE; 2016. Bellver M, Giró-i-Nieto X, Marqués F, Torres J. Hierarchical Object Detection with Deep Reinforcement Learning. In Deep Reinforcement Learning Workshop, NIPS 2016. 2016. Lin X, Casas J, Pardàs M. 3D Point Cloud Video Segmentation Based on Interaction Analysis. In ECCV 2016: Computer Vision – ECCV 2016 Workshops. Amsterdam: Springer; 2016. pp. 821 - 835. Gurrin C, Giró-i-Nieto X, Radeva P, Dimiccoli M, Johansen H, Joho H, et al.. LTA 2016 - The First Workshop on Lifelogging Tools and Applications. In ACM Multimedia. Amsterdam, The Netherlands: ACM; 2016. Lin X, Casas J, Pardàs M. 3D Point Cloud Segmentation Oriented to The Analysis of Interactions. In The 24th European Signal Processing Conference (EUSIPCO 2016). Budapest, Hungary: Eurasip; 2016. Lin X, Casas J, Pardàs M. Graph based Dynamic Segmentation of Generic Objects in 3D. In CVPR SUNw: Scene Understanding Workshop. Las Vegas, US; 2016. Salvador A, Giró-i-Nieto X, Marqués F, Satoh S'ichi. Faster R-CNN Features for Instance Search. In CVPR Workshop Deep Vision. 2016.
de Oliveira-Barra G, Lux M, Giró-i-Nieto X. Large Scale Content-Based Video Retrieval with LIvRE. In 14th International Workshop on Content-based Multimedia Indexing (CBMI). Bucharest, Romania: IEEE; 2016. Perez-Pellitero E, Salvador J, Ruiz-Hidalgo J, Rosenhahn B. PSyCo: Manifold Span Reduction for Super Resolution. In IEEE Conference on Computer Vision and Pattern Recognition. Las Vegas, Nevada, USA; 2016.
de Oliveira-Barra G, Giró-i-Nieto X, Cartas-Ayala A, Radeva P. LEMoRe: A Lifelog Engine for Moments Retrieval at the NTCIR-Lifelog LSAT Task. In The 12th NTCIR Conference, Evaluation of Information Access Technologies. Tokyo, Japan: National Institute of Informatics (NII); 2016. Pan J, McGuinness K, Sayrol E, O'Connor N, Giró-i-Nieto X. Shallow and Deep Convolutional Networks for Saliency Prediction. In IEEE Conference on Computer Vision and Pattern Recognition, CVPR. Las Vegas, NV, USA: Computer Vision Foundation / IEEE; 2016. Perez-Pellitero E, Salvador J, Ruiz-Hidalgo J, Rosenhahn B. Half Hypersphere Confinement for Piecewise Linear Regression. In IEEE Winter Conference on Applications of Computer Vision. Lake Placid, NY, USA; 2016. Lin X, Casas J, Pardàs M. Time consistent estimation of End-effectors from RGB-D data. In Image and Video Technology: 7th Pacific-Rim Symposium, PSIVT 2015, Auckland, New Zealand, November 25-27, 2015, Revised Selected Papers. Cham: Springer International Publishing; 2015. pp. 529-543. Varas D, Alfaro M, Marqués F. Multiresolution hierarchy co-clustering for semantic segmentation in sequences with small variations. In ICCV - International Conference on Computer Vision. 2015. Bazazian D, Casas J, Ruiz-Hidalgo J. Fast and Robust Edge Extraction in Unorganized Point Clouds. In International Conference on Digital Image Computing: Techniques and Applications. Adelaide, Australia: DICTA/IEEE; 2015. Nguyen V-T, -Dinh-Le D, Salvador A, -Zhu C, Nguyen D-L, Tran M-T, et al.. NII-HITACHI-UIT at TRECVID 2015 Instance Search. In TRECVID 2015 Workshop. Gaithersburg, MD, USA: NIST; 2015. Campos V, Salvador A, Giró-i-Nieto X, Jou B. Diving Deep into Sentiment: Understanding Fine-tuned CNNs for Visual Sentiment Prediction. In 1st International Workshop on Affect and Sentiment in Multimedia. Brisbane, Australia: ACM; 2015. Lidon A, Bolaños M, Seidl M, Giró-i-Nieto X, Radeva P, Zeppelzauer M. UPC-UB-STP @ MediaEval 2015 Diversity Task: Iterative Reranking of Relevant Images. In MediaEval 2015 Workshop. 2015. Ventura C, Giró-i-Nieto X, Vilaplana V, McGuinness K, Marqués F, O'Connor N. Improving Spatial Codification in Semantic Segmentation. In IEEE International Conference on Image Processing (ICIP), 2015. Quebec City: IEEE; 2015. Cabezas F, Carlier A, Salvador A, Giró-i-Nieto X, Charvillat V. Quality Control in Crowdsourced Object Segmentation. In IEEE International Conference on Image Processing (ICIP), 2015. 2015. Bolaños M, Mestre R, Talavera E, Giró-i-Nieto X, Radeva P. Visual Summary of Egocentric Photostreams by Representative Keyframes. In IEEE International Workshop on Wearable and Ego-vision Systems for Augmented Experience (WEsAX) 2015. Turin, Italy; 2015. Roldan-Carlos J, Lux M, Giró-i-Nieto X, Muñoz-Trallero P, Anagnostopoulos N. Event Video Retrieval using Global and Local Descriptors in Visual Domain. In IEEE/ACM International Workshop on Content-Based Multimedia Indexing - CBMI 2015 . 2015. Roldan-Carlos J, Lux M, Giró-i-Nieto X, Muñoz-Trallero P, Anagnostopoulos N. Visual Information Retrieval in Endoscopic Video Archives. In IEEE/ACM International Workshop on Content-Based Multimedia Indexing - CBMI 2015 . Prague, Czech Republic; 2015. Salvador A, Zeppelzauer M, Manchon-Vizuete D, Calafell A, Giró-i-Nieto X. Cultural Event Recognition with Visual ConvNets and Temporal Models. In CVPR ChaLearn Looking at People Workshop 2015. 2015. Salembier P. Study of Binary Partition Tree Pruning Techniques for Polarimetric SAR images. In International Symposium on Mathematical Morphology, ISMM 2015. Reykjavik, Iceland: Springer; 2015. Maceira M, Morros JR, Ruiz-Hidalgo J. Region-based depth map coding using a 3D scene representation. In IEEE International Conference on Acoustics, Speech and Signal Processing. Brisbane, Australia; 2015. Huang B, Henry F, Guillemot C, Salembier P. Mode dependent vector quantization with a rate-distortion optimized codebook for residue coding in video compression. In IEEE Int. Conf. on Acoustics Speech and Signal Processing, ICASSP 2015. Brisbane, Australia: IEEE; 2015. Perez-Pellitero E, Salvador J, Ruiz-Hidalgo J, Rosenhahn B. Accelerating Super-Resolution for 4K Upscaling. In IEEE International Conference on Consumer Electronics. Las Vegas, NV, USA; 2015. Bellot P, Salembier P, Oliveras A, Meyer PE. Study of Normalization and Aggregation Approaches for Consensus Network Estimation. In 2015 IEEE Symposium Series on Computational Intelligence: IEEE Symposium on Artificial Life (2015 IEEE ALIFE). Cape Town, South Africa; 2015. Perez-Pellitero E, Salvador J, Torres-Xirau I, Ruiz-Hidalgo J, Rosenhahn B. Fast Super-Resolution via Dense Local Training and Inverse Regressor Search. In Asian Conference in Computer Vision (ACCV). Singapore; 2014. Carlier A, Salvador A, Giró-i-Nieto X, Marques O, Charvillat V. Click’n’Cut: Crowdsourced Interactive Segmentation with Object Candidates. In 3rd International ACM Workshop on Crowdsourcing for Multimedia (CrowdMM). Orlando, Florida (USA); 2014. Alonso-González A, López-Martínez C, Salembier P. Multidimensional SAR Data Analysis Based on Binary Partition Trees and the Covariance Matrix Geometry. In International Radar Conference 2014. Lille, France: SEE; 2014. Gallego J, Pardàs M. Multiview Foreground Segmentation using 3D Probabilistic Model. In ICIP, IEEE International Conference on Image Processing. 2014. Gallego J, Pardàs M. Robust 3D SFS reconstruction based on reliability maps. In ICIP, IEEE International Conference on Image Processing. 2014. Manchon-Vizuete D, Gris-Sarabia I, Giró-i-Nieto X. UPC at MediaEval 2014 Social Event Detection Task. In MediaEval 2014 Workshop. Barcelona: CEUR Workshop Proceedings; 2014. Bosch I, Salvador J, Perez-Pellitero E, Ruiz-Hidalgo J. An Epipolar-Constrained Prior for Efficient Search in Multi-View Scenarios. In EUSIPCO. Lisbon; 2014. Palou G, Salembier P. Precision-Recall-Classification Evaluation Framework: Application to Depth Estimation on Single Images. In European Conference on Computer Vision (ECCV). Zurich; 2014. Salembier P, Foucher S, López-Martínez C. Low-level processing of PolSAR images with binary partition trees. In IEEE International Geoscience and Remote Sensing Symposium (IGARSS), 2014. Quebec, Canada: IEEE; 2014. Morros JR, Vilaplana V, Ruiz-Hidalgo J, Casas J, Gasull A, Marqués F, et al.. Materials transversals per a l'aprenentatge actiu de les matèries de processat d'imatge i vídeo. In Congrés Internacional de Docència Universitària i Innovació (CIDUI). Tarragona, Spain; 2014. Manchon-Vizuete D, Gris-Sarabia I, Giró-i-Nieto X. Photo Clustering of Social Events by Extending PhotoTOC to a Rich Context. In ICMR 2014 Workshop on Social Events in Web Multimedia (SEWM). Glasgow, Scotland: ACM; 2014. Martínez PA, Varas D, Castelán M, Camacho M, Marqués F, Arechavaleta G. 3D Shape Reconstruction from a Humanoid Generated Video Sequence. In IEEE International Conference on Humanoid Robots. Madrid; 2014. Varas D, Marqués F. Region-based Particle Filter for Video Object Segmentation. In CVPR - Computer Vision and Pattern Recognition. Ohio: IEEE; 2014. Niamut O, Kaiser R, Kienast G, Kochale A, Spille J, Schreer O, et al.. Towards A Format-agnostic Approach for Production, Delivery and Rendering of Immersive Media. In ACM Multimedia Systems. Oslo, Norway; 2013. Bosio M, Salembier P, Oliveras A, Bellot P. Ensemble learning and hierarchical data representation for microarray classification. In 13th IEEE International Conference on BioInformatics and BioEngineering BIBE. Chania, Crete: 13th IEEE International Conference on BioInformatics and BioEngineering,; 2013. Manchon-Vizuete D, Giró-i-Nieto X. UPC at MediaEval 2013 Social Event Detection Task. In MediaEval 2013 Workshop. Barcelona, Catalonia: CEUR Workshop Proceedings; 2013. Ventura C, Tella M, Giró-i-Nieto X. UPC at MediaEval 2013 Hyperlinking Task. In MediaEval 2013 Workshop. Barcelona, Catalonia: CEUR Workshop Proceedings Vol-1043; 2013. Salvador A, Carlier A, Giró-i-Nieto X, Marques O, Charvillat V. Crowdsourced Object Segmentation with a Game. In ACM Workshop on Crowdsourcing for Multimedia (CrowdMM). Barcelona; 2013. Perez-Pellitero E, Salvador J, Ruiz-Hidalgo J, Rosenhahn B. Bayesian region selection for adaptive dictionary-based Super-Resolution. In British Machine Vision Conference. 2013. Bosio M, Salembier P, Bellot P, Oliveras A. Hierarchical Clustering Combining Numerical and Biological Similarities for Gene Expression Data Classification. In 35th Annual International Conference of the IEEE Engineering in Medicine and Biology Society (EMBC’13) . Osaka, Japan: IEEE EMBS; 2013. Maceira M, Morros JR, Ruiz-Hidalgo J. Fusion of colour and depth partitions for depth map coding. In Digital Signal Processing. Santorini, Greece; 2013. Kochale A, Ruiz-Hidalgo J, Borsum M. Gesture controlled interactive rendering in a panoramic scene. In European Interactive TV Conference, EuroITV. Como, Italy; 2013. Palou G, Salembier P. Hierarchical Video Representation with Trajectory Binary Partition Tree. In Computer Vision and Pattern Recognition (CVPR). Portland, Oregon; 2013. Pont-Tuset J, Marqués F. Measures and Meta-Measures for the Supervised Evaluation of Image Segmentation. In Computer Vision and Pattern Recognition (CVPR). 2013. Zoric G, Engström A, Barkhuus L, Ruiz-Hidalgo J, Kochale A. Gesture Interaction with Rich TV Content in the Social Setting. In Exploring and Enhancing the User Experience for Television, Workshop of ACM SIGCHI Conference on Human Factors in Computing Systems, CHI'13. Paris, France; 2013. Valero S, Salembier P, Chanussot J. Object recognition in urban hyperspectral images using binary partition tree representation. In IEEE International Geoscience and Remote Sensing Symposium, IGARSS'2013. Melbourne, Australia: IEEE; 2013. Alonso-González A, López-Martínez C, Salembier P. PolSAR time series processing and analysis based on Binary Partition Trees. In PoLinSAR 2013 Workshop. Frascati (Rome), Italy; 2013. López-Méndez A, Casas J. Can our TV robustly understand human gestures? Real-Time Gesture Localization in Range Data. In Conference on Visual Media Production. London, UK: ACM; 2012. Bosio M, Bellot P, Salembier P, Oliveras A. Multiclass cancer microarray classification algorithm with Pair-Against-All redundancy. In The 2012 IEEE International Workshop on Genomic Signal Processing and Statistics (GENSIPS’12). Washington, DC, USA; 2012. Bosio M, Bellot P, Salembier P, Oliveras A. Microarray classification with hierarchical data representation and novel feature selection criteria. In IEEE 12th International Conference on BioInformatics and BioEngineering. Larnaca, Cyprus; 2012. Salvador J, Rivero D, Kochale A, Ruiz-Hidalgo J. Variational Reconstruction and Restoration for Video Super-Resolution. In International Conference on Pattern Recognition (ICPR). Tsukuba, Japan; 2012. Maceira M, Ruiz-Hidalgo J, Morros JR. Depth map coding based on a optimal hierarchical region representation. In 3DTV Conference. Zurich, Switzerland: IEEE; 2012. Irurueta A, Morros JR. PROMEDS: An adaptive robust fundamental matrix estimation approach. In 3DTV Conference. Zurich, Switzerland: IEEE; 2012. López-Méndez A, Gall J, Casas J, van Gool L. Metric Learning from Poses for Temporal Clustering of Human Motion. In British Machine Vision Conference 2012. Guildford, UK; 2012. Varas D, Marqués F. A Region-Based Particle Filter for Generic Object Tracking and Segmentation. In ICIP - International Conference on Image Processing. Orlando; 2012. Palou G, Salembier P. Depth Ordering on Image Sequences Using Motion Occlusions. In IEEE Int. Conf. in Image Processing, ICIP 2012. Orlando, Florida, USA; 2012. Navarro S, López-Méndez A, Alcoverro M, Casas J. Multi-view Body Tracking with a Detector-Driven Hierarchical Particle Filter. In 7th International Conference AMDO 2012. Port d'Andratx, Mallorca: Springer; 2012. Giró-i-Nieto X. Part-Based Object Retrieval With Binary Partition Trees. In Doctoral Consortium in Computer Vision and Pattern Recognition (CVPR). Providence (RI), USA: IEEE Computer Society; 2012. Giró-i-Nieto X, Martos M. Interactive segmentation and tracking of video objects. In Image Analysis for Multimedia Interactive Services (WIAMIS), 2012 13th International Workshop on. Dublin, Ireland: IEEE; 2012. Suau X, Ruiz-Hidalgo J, Casas J. Oriented radial distribution on depth data: Application to the detection of end-effectors. In IEEE International Conference on Acoustics, Speech, and Signal Processing. Kyoto, Japan; 2012. Pont-Tuset J, Marqués F. Upper-bound assessment of the spatial accuracy of hierarchical region-based image representations. In IEEE International Conference on Acoustics, Speech, and Signal Processing. 2012. pp. 865-868. Palou G, Salembier P. From local occlusion cues to global depth estimation. In IEEE Int. Conf. on Acoustics Speech and Signal Processing, ICASSP 2012. Kyoto, Japan; 2012. Pont-Tuset J, Marqués F. Supervised Assessment of Segmentation Hierarchies. In European Conference on Computer Vision (ECCV). 2012. Palou G, Salembier P. 2.1 Depth Estimation of Frames in Image Sequences Using Motion Occlusions. In Computer Vision – ECCV 2012. Workshops and Demonstrations. Springer Berlin Heidelberg; 2012. Giró-i-Nieto X, Martos M. Multiscale annotation of still images with GAT. In Proceedings of the 1st International Workshop on Visual Interfaces for Ground Truth Collection in Computer Vision Applications. Capri, Italy: ACM; 2012. Jiménez X, Figueiras F, Marqués F, Salembier P, Herance R, Rojas S, et al.. Registration of Multi-Modal Neuroimaging Datasets by Considering the Non-Overlapping Field of View into the NMI Calculation. In IEEE International Symposium on Biomedical Imaging, ISBI 2012. Barcelona, Spain; 2012. Alonso-González A, López-Martínez C, Salembier P. Variable local weight filtering for polsar data speckle noise reduction. In IEEE International Geoscience and Remote Sensing Symposium, IGARSS'2012. Munich, Germany; 2012. Alonso-González A, López-Martínez C, Salembier P. Temporal polsar image series exploitation with binary partition trees. In IEEE International Geoscience and Remote Sensing Symposium, IGARSS 2012. Munich, Germany; 2012. Bosio M, Bellot P, Salembier P, Oliveras A. Feature set enhancement via hierarchical clustering for microarray classification. In IEEE International Workshop on Genomic Signal Processing and Statistics, GENSIPS 2011. 2011. pp. 226 -229. Salvador J, Casas J. A compact 3D representation for multi-view video. In 2011 International Conference on 3D Imaging. 2011. pp. 1–8. Valero S, Salembier P, Chanussot J, Cuadres C. Improved binary partition tree construction for hyperspectral images: application to object detection. In IEEE International Geoscience and Remote Sensing Symposium, IGARSS 2011. Vancouver, Canada; 2011. pp. 2515–2518. Alonso-González A, López-Martínez C, Salembier P. Binary partition tree as a polarimetric SAR data representation in the space-time domain. In IEEE International Geoscience and Remote Sensing Symposium, IGARSS 2011. Vanouver, Canada; 2011. pp. 3819–3822. López-Méndez A, Alcoverro M, Pardàs M, Casas J. Real-time upper body tracking with online initialization using a range sensor. In 2011 IEEE International Conference on Computer VIsion Workshops (ICCV Workshops). 2011. pp. 391–398. Alonso-González A, López-Martínez C, Salembier P. PolSAR speckle filtering and segmentation based on binary partition tree representation. In 5th International Workshop on Science and Applications of SAR Polarimetry and Polarimetric Interferometry, PolInSAR 2011. Frascati (Rome), Italy; 2011. pp. 1–19. Niamut O, Kochale A, Ruiz-Hidalgo J, Macq J, Kienast G. Advanced visual rendering, gesture-based interaction and distributed delivery for immersive and interactive media services. In International Broadcasting Convention 2011. 2011. pp. 1–8. Giró-i-Nieto X, Alfaro M, Marqués F. Diversity ranking for video retrieval from a broadcaster archive. In 1st ACM International Conference on Multimedia Retrieval (ICMR '11). 2011. pp. 1–8. López-Méndez A, Alcoverro M, Pardàs M, Casas J. Approximate partitioning of observations in hierarchical particle filter body tracking. In 2011 IEEE Computer Society Conference on Computer Vision and Pattern Recognition Workshops. 2011. pp. 19–24. Schreer O, Thomas G, Niamut O, Macq J, Kochale A, Batke J, et al.. Format-agnostic approach for production, delivery and rendering of immersive media. In Networked and Electronic Media Summit. 2011. p. –. Valero S, Salembier P, Chanussot J. Hyperspectral image segmentation using binary partition trees. In IEEE International Conference on Image Processing, ICIP 2011. Brussels, Belgium; 2011. pp. 1273–1276. Alcoverro M, López-Méndez A, Pardàs M, Casas J. Connected Operators on 3D data for human body analysis. In 2011 IEEE Computer Society Conference on Computer Vision and Pattern Recognition Workshops. 2011. pp. 9–14. Valero S, Salembier P, Chanussot J. Arbre de partition binaire: un nouvel outil pour la représentation hiérarchique et l'analyse des images hyperspectrales. In XXIIIè Colloque sur le Traitement du Signal et des Images, GRETSI 2011. Bordeaux, France; 2011. pp. 120–125. Suau X, Casas J, Ruiz-Hidalgo J. Real-time head and hand tracking based on 2.5D data. In ICME - 2011 IEEE International Conference on Multimedia and Expo. 2011. pp. 1–6. Alcoverro M, López-Méndez A, Casas J, Pardàs M. A real-time body tracking system for smart rooms. In ICME - 2011 IEEE International Conference on Multimedia and Expo. 2011. pp. 1–6. Palou G, Salembier P. Occlusion-based depth ordering on monocular images with binary partition tree. In IEEE International Conference on Acoustics, Speech and Signal Processing, ICASSP 2011. Prague, Czech Republic; 2011. pp. 1093–1096. Gallego J, Salvador J, Casas J, Pardàs M. Joint multi-view foreground segmentation and 3D reconstruction with tolerance loop. In IEEE International Conference on Image Processing. 2011. pp. 997–1000. Benediktsson J, Bruzzone L, Chanussot J, Dalla Mura M, Salembier P, Valero S. Hierarchical analysis of remote sensing data: morphological attribute profiles and binary partition trees. In International Symposium on Mathematical Morphology 2011. Intra, Lake Maggiore, Italy; 2011. pp. 306–319. Pardàs M, Bonafonte A. Work in progress - Cooperative and competitive projects for engaging students in advanced ICT subjects. In 41st Annual Frontiers in Education Conference. 2011. pp. 1–3. Cuadras C, Valero S, Salembier P, Chanussot J. Some measures of multivariate association relating two spectral data sets. In 19th International Conference on Computational Statistics, COMSTAT 2010. Paris, France; 2010. Haro G, Pardàs M. 3D shape from multi-camera views by error projection minimization. In 10th Workshop on Image Analysis for Multimedia Interactive Services. 2010. pp. 250–253. Pont-Tuset J, Marqués F. Contour detection using binary partition trees. In IEEE International Conference on Image Processing. 2010. pp. 1609–1612. Alonso-González A, López-Martínez C, Salembier P. Filtering and segmentation of polarimetric SAR images with binary partition trees. In IEEE International Geoscience and Remote Sensing Symposium, IGARSS 2010. Honolulu, USA; 2010. pp. 4043–4046. Valero S, Salembier P, Chanussot J. Comparison of merging orders and pruning strategies for binary partition tree in hyperspectral data. In IEEE International Conference on Image Processing, ICIP 2010. Hong Kong, China; 2010. pp. 2565–2568. Giró-i-Nieto X, Ventura C, Pont-Tuset J, Cortés S, Marqués F. System architecture of a web service for Content-Based Image Retrieval. In ACM International Conference On Image And Video Retrieval 2010. 2010. pp. 358–365. Valero S, Salembier P, Chanussot J. New hyperspectral data representation using binary partition tree. In IEEE International Geoscience and Remote Sensing Symposium, IGARSS 2010. Honolulu, USA; 2010. pp. 80–83. Giró-i-Nieto X, Salla R, Vives X. Digimatge, a Rich Internet Application for video retrieval from a Multimedia Asset Management system. In 11th ACM SIGMM International Conference on Multimedia Information Retrieval. 2010. Suau X, Casas J, Ruiz-Hidalgo J. Surface reconstruction by restricted and oriented propagation. In 2010 IEEE International Conference on Image Processing. 2010. pp. 813–816. Giró-i-Nieto X. BitSearch, the blog before the thesis. In VI International Congress of University Teaching and Innovation. Barcelona, Catalonia; 2010. López-Méndez A, Canton-Ferrer C, Casas J. Virtual view appearance representation for human motion analysis in multi-view environments. In 18th European Signal Processing Conference. 2010. pp. 959–963. Rolón J, Salembier P. Improved local pdf estimation in the wavelet domain for generalized lifting. In Picture Coding Symposium, PCS 2010. Nagoya, Japan; 2010. Salvador J, Casas J. Joint estimation of shape and motion from silhouettes. In 2010 IEEE International Conference on Image Processing. 2010. pp. 4069–4072. Gallego J, Pardàs M. Enhanced bayesian foreground segmentation using brightness and color distortion region-based model for shadow removal. In 2010 IEEE International Conference on Image Processing. 2010. pp. 3449–3452. Vilaplana V, Marqués F, León M, Gasull A. Object detection and segmentation on a hierarchical region-based image representation. In 2010 IEEE International Conference on Image Processing. 2010. pp. 3393–3396. Salvador J, Suau X, Casas J. From silhouettes to 3D points to mesh: towards free viewpoint video. In ACM Workshop on 3D Video Processing (3DVP). 2010. pp. 19–24. Calderero F, Marqués F. Region merging parameter dependency as information diversity to create sparse hierarchies of partitions. In 2010 IEEE International Conference on Image Processing. 2010. pp. 2237–2240. Canton-Ferrer C, Casas J, Pardàs M. Real-time 3D multi-person tracking using Monte Carlo surface sampling. In 2010 IEEE Computer Society Conference on Computer Vision and Pattern Recognition Workshops. 2010. pp. 40–46. Alcoverro M, Casas J, Pardàs M. Skeleton and shape adjustment and tracking in multicamera environments. In 6th International Conference AMDO 2010. 2010. pp. 88–97. Canton-Ferrer C, Casas J, Pardàs M. Spatio-temporal alignment and hyperspherical radon transform for 3D gait recognition in multi-view environments. In 2010 IEEE Computer Society Conference on Computer Vision and Pattern Recognition Workshops. 2010. pp. 116–121. Salvador J, Casas J. Photo-consistent surfaces from a sparse set of viewpoints. In 2010 IEEE International Conference on Image Processing. 2010. pp. 4045–4048. Dimiccoli M, Salembier P. Hierarchical region-based representation for segmentation and filtering with depth in single images. In IEEE International Conference on Image Processing, ICIP 2009. Cairo, Egypt; 2009. Salembier P. Study on nonlocal morphological operators. In IEEE International Conference on Image Processing, ICIP 2009. Cairo, Egypt; 2009. Rolón J, Mendonça E, Salembier P. Generalized lifting with adaptive local pdf estimation for image coding. In Picture coding symposium, PCS 2009. Chicago, USA; 2009. Rolón J, Ortega A, Salembier P. Modeling of contours in wavelet domain for generalized lifting image compression. In IEEE International Conference on Acoustics, Speech, and Signal Processing, ICASSP 2009. Taipei, Taiwan; 2009. Dimiccoli M, Salembier P. Exploiting T-junctions for depth segregation in single images. In IEEE International Conference on Acoustics, Speech, and Signal Processing, ICASSP 2009. Taipei, Taiwan; 2009. León M, Vilaplana V, Gasull A, Marqués F. Caption text extraction for indexing purposes using a hierarchical region-based image model. In 16th International Conference on Image Processing. 2009. pp. 1869–1872. Frias-Velazquez A, Morros JR. Histogram computation based on image bitwise decomposition. In ICIP 2009. 2009. Frias-Velazquez A, Morros JR. Gray-scale erosion algorithm based on image bitwise decomposition: application to focal plane processors. In IEEE International Conference on Acoustics, Speech and Signal Processing 2009. 2009. pp. 845–848. Suau X, Casas J, Ruiz-Hidalgo J. Multi-resolution illumination compensation for foreground extraction. In 16th International Conference on Image Processing. 2009. pp. 3225–3228. Sanchez-Riera J, Salvador J, Casas J. Indoor PTZ camera calibration with concurrent PT axes. In Fourth International Conference on Computer Vision Theory and Applications. 2009. pp. 45–50. López-Méndez A, Casas J. Feature-based annealing particle filter for robust body pose estimation. In Fourth International Conference on Computer Vision Theory and Applications. 2009. pp. 438–443. Ruiz-Hidalgo J, Salembier P. Comparison of MPEG-7 descriptors for long term selection of reference frames. In IEEE International Conference on Acoustics, Speech, and Signal Processing, ICASSP 2009. Taipei, Taiwan; 2009. pp. 941–944. Canton-Ferrer C, Casas J, Pardàs M. Towards a low cost multi-camera marker based human motion capture system. In 16th International Conference on Image Processing. 2009. pp. 2581–2584. Canton-Ferrer C, Casas J, Pardàs M. Voxel based annealed particle filtering for markerless 3D articulated motion capture. In 3DTV Conference: The True Vision - Capture, Transmission and Display of 3D Video, 2009. 2009. pp. 1–4. Canton-Ferrer C, Butko T, Segura C, Giró-i-Nieto X, Nadeu C, Hernando J, et al.. Audiovisual Event Detection Towards Scene Understanding. In 2009 IEEE Computer-Society Conference on Computer Vision and Pattern Recognition Workshops. 2009. pp. 840–847. Calderero F, Marqués F, Ortega A. Performance evaluation of probability density estimators for unsupervised information theoretical region merging. In 16th International Conference on Image Processing. 2009. pp. 4397–4400. Butko T, Canton-Ferrer C, Segura C, Giró-i-Nieto X, Nadeu C, Hernando J, et al.. Improving Detection of Acoustic Events Using Audiovisual Data and Feature Level Fusion. In 10th Annual Conference of the International Speech Communication Association. 2009. pp. 1147–1150. Vilaplana V, Varas D. Face tracking using a region-based mean-shift algorithm with adaptive object and background models. In Workshop on Image Analysis for Multimedia Interactive Services. 2009. pp. 9–12. Oliveras A. Maximum likelihood factor analysis in malaria cytokines analysis and modelling. In IEEE International Workshop on Genomic Signal Processing and Statistics. 2009. Alcoverro M, Pardàs M. Visual hull reconstruction algorithms comparison: towards robustness to silhouette errors. In International Conference on Computer Vision Theory and Applications 2009. 2009. pp. 464–469. Calderero F, Marqués F. Hierarchical fusion of color and depth information at partition level by cooperative region merging. In IEEE International Conference on Acoustics, Speech and Signal Processing 2009. 2009. pp. 973–976. Gallego J, Pardàs M, Haro G. Bayesian foreground segmentation and tracking using pixel-wise background model and region-based foreground model. In 16th IEEE International Conference on Image Processing. 2009. pp. 3205–3208. Giró-i-Nieto X, Marqués F. System architecture for indexing regions in keyframes. In 3rd International Conference on Semantic and digital Media Technologies. Koblenz, Germany; 2008. pp. 1–2. Butko T, Temko A, Nadeu C, Canton-Ferrer C. Fusion of Audio and Video Modalities for Detection of Acoustic Events. In Interspeech 2008, 9th Annual Conference of the International Speech Communication Association. Brisbane, Australia: ISCA; 2008. pp. 123–126. Cabrera M, Giró-i-Nieto X, Rey F. Lavicad: laboratorio virtual de comunicaciones analógicas y digitales. In XXIII Simposium Nacional de la Unión Científica Internacional de Radio. Madrid, Spain; 2008. pp. 1–4. Haro G, Lenglet C, Sapiro G, Thompson P. On the non-uniform complexity of brain connectivity. In 5th IEEE International Symposium on Biomedical Imaging (ISBI 2008). Paris: IEEE; 2008. Salembier P. Connected operators based on region-trees. In IEEE International Conference on Image Processing, ICIP 2008. San Diego, USA; 2008. Gudmundsson S, Pardàs M, Casas J, Aanaes H, Larsen R. TOF Imaging in Smart Room Environments towards Improved People Tracking. In Computer Vision and Pattern Recognition: Workshop on Time of Flight based Computer Vision (CVPR/TOF-CV). 2008. pp. 1–6. Canton-Ferrer C, Casas J, Pardàs M. Exploiting Structural Hierarchy in Articulated Objects Towards Robust Motion Capture. In V Conference on Articulated Motion and Deformable Objects (AMDO). 2008. pp. 82–91. Canton-Ferrer C, Segura C, Pardàs M, Casas J, Hernando J. Multimodal Real-Time Focus of Attention Estimation in SmartRooms. In CVPR 2008 Workshop on Human Communicative Behavior Analysis. 2008. pp. 1–4. Rolón J, Salembier P, Alameda X. Image compression with generalized lifting and partial knowledge of the signal pdf. In IEEE International Conference on Image Processing, ICIP 2008. San Diego, USA; 2008. pp. 250–254. Dimiccoli M, Morel J, Salembier P. Monocular Depth by Nonlinear Diffusion. In IEEE Sixth Indian Conference on Computer Vision, Graphics & Image Processing, ICVGIP 2008. Bhubaneswar, India; 2008. pp. 140–148. Canton-Ferrer C, Sblendido R, Casas J, Pardàs M. Particle Filtering and Sparse Sampling for Multi-Person 3D Tracking. In IEEE International Conference on Image Processing. 2008. pp. 2644–2647. Calderero F, Marqués F. General region merging approaches based on information theory statistical measures. In IEEE International Conference on Image Processing. 2008. pp. 3016–3019. Calderero F, Marqués F. General Region Merging Based on First Order Markov Information Theory Statistical Measures. In 16th European Signal Processing Conference. 2008. Landabaso J-L, Lizcano L, Pardàs M. Shape from Inconsistent Silhouette for Free Viewpoint Video. In IEEE International Conference on Image Processing. 2008. pp. 213–216. Salvador J, Casas J. Shape from Probability Maps with Image-Adapted Voxelization. In ECCV Workshop on Multi-camera and Multi-modal Sensor Fusion Algorithms and Applications (M2SFA2). 2008. pp. 1–12. Butko T, Temko A, Nadeu C, Canton-Ferrer C. Inclusion of video information for detection of acoustic events using the fuzzy integral. In Machine Learning for Multimodal Interaction: 5th International Workshop. 2008. pp. 74–85. Gallego J, Pardàs M. Segmentation and Tracking of Static and Moving Objects in Video Surveillance Scenarios. In IEEE International Conference on Image Processing. 2008. pp. 2716–2719. Haro G, Randall G, Sapiro G. Stratification Learning: Detecting Mixed Density and Dimensionality in High Dimensional Point Clouds. In Neural Information Processing Systems NIPS. Montreal: NIPS; 2007. Giró-i-Nieto X, Camps N, Marqués F. Region-based annotation tool using partition trees. In International Conference on Semantic and Digital Media Technologies. Genova, Italy; 2007. pp. 3–4. Cabrera M, Closas P, Alfredo L, Giró-i-Nieto X, Rey F. Proyecto de Innovación Docente COM@WEB (COMunicaciones en la WEB). In VIII Simposio Nacional de Tecnologías de la Información y las Comunicaciones en la Educación. SINTICE'07. 2007. pp. 113–120. Morros JR, Salah AAli, Schouten B, Perales CSegura, Serrano JLuque, Ambekar O, et al.. Event recognition for meaningful Human-Computer interaction in smart environments. In Proceedings of the eNTERFACE’07 Workshop on Multimodal Interfaces. 2007. Giró-i-Nieto X, Marqués F. Composite object detection in video sequences: Applications to controlled environments. In 8th International Workshop on Image Analysis for Multimedia Interactive Services. Santorini, Greece: IEEE; 2007. Ruiz-Hidalgo J, Salembier P. Long term selection of reference frame sub-blocks using MPEG-7 indexing metadata. In International Conference on Acoustics, Speech and Signal Processing, ICASSP 2007. Honolulu, Hawaii; 2007. pp. 669–672. Canton-Ferrer C, Salvador J, Casas J, Pardàs M. Multi-Person Tracking Strategies Based on Voxel Analysis. In CLEAR'07 Second International Evaluation Workshop on Classification of Events, Activities and Relationships. 2007. pp. 1–12. Canton-Ferrer C, Casas J, Pardàs M. Head Orientation Estimation using Particle Filtering in Multiview Scenarios. In CLEAR'07 Second International Evaluation Workshop on Classification of Events, Activities and Relationships. 2007. pp. 1–11. Dimiccoli M, Salembier P. Perceptual filtering with connected operators and image inpainting. In Proc. of International Symposium on Mathematical Morphology, ISMM 2007. Rio de Janeiro, Brazil; 2007. pp. 227–238. Dimiccoli M, Salembier P. Geometrical Filtering Scheme with Connected Operators and Image Inpainting. In SPIE Visual Communcations and Image Processing 2007. San Jose, CA, USA; 2007. pp. 1–14. Rolón J, Salembier P. Generalized Lifting For Sparse Image Representation and Coding. In Picture Coding Symposium, PCS 2007. Lisbon, Portugal; 2007. pp. 234–238. López-Méndez A, Canton-Ferrer C, Casas J. Multi-person 3D Tracking with Particle Filters on Voxels. In 2007 International Conference on Acoustics, Speech and Signal Processing. 2007. Asteriadis S, Nikolaidis N, Pitas I, Pardàs M. Detection of facial characteristics based on edge information. In International Conference on Computer Vision Theory and Applications, VISAPP 2007. 2007. pp. 247–250. Calderero F, Marqués F, Ortega A. Multiple view region matching using as a Lagrangian optimization problem. In 2007 International Conference on Acoustics, Speech and Signal Processing. 2007. Vilaplana V, Marqués F. Face detection and segmentation on a hierarchical image representation. In 15th European Signal Processing Conference. 2007. pp. 1955–1959. Vilaplana V, Marqués F. Region-based hierarchical representation for object detection. In Fith International Workshop on Content-Based Multimedia Indexing. 2007. pp. 157–164. Petras I, Beleznai C, Dedeoglu Y, Pardàs M, Kovács L, Szlávik Z, et al.. Flexible test-bed for unusual behavior detection. In 6th ACM International Conference on Image and Video Retrieval. 2007. pp. 105–108. Segura C, Abad A, Casas J, Hernando J. Multimodal Head Orientation towards Attention Tracking in Smart Rooms. In 2007 International Conference on Acoustics, Speech and Signal Processing. 2007. Dorea C, Pardàs M, Marqués F. A hierarchical trajectory-based representation for video. In Fith International Workshop on Content-Based Multimedia Indexing. 2007. pp. 275–282. Dorea C, Pardàs M, Marqués F. Hierarchical partition-based representations for image sequences using trajectory merging criteria. In 2007 International Conference on Acoustics, Speech and Signal Processing. 2007. Turkan M, Pardàs M, Cetin E. Human eye localization using edge projections. In International Conference on Computer Vision Theory and Applications, VISAPP 2007. 2007. pp. 410–415. Vilaplana V, Marqués F. On building a hierarchical region-based representation for generic image analysis. In IEEE International Conference on Image Processing. 2007. Neumann J, Casas J, Macho D, Ruiz-Hidalgo J. Multimodal Integration of Sensor Network. In Proceedings of 3rd IFIP Conference on Artificial Intelligence Applications & Innovations. Athens, Greece: Springer; 2006. Giró-i-Nieto X, Marqués F, Casas J. The edition of the Wikipedia as an academic activity. In 4rt. Congrés Internacional de Docència Unversitària i Innovació. Barcelona, Catalonia; 2006. p. –. Abad A, Canton-Ferrer C, Canton-Ferrer C, Segura C, Landabaso J-L, Macho D, et al.. UPC Audio, Video and Multimodal Person Tracking Systems in the CLEAR Evaluation Campaign. In CLEAR'06 Evaluation Campaign and Workshop - Classification of Events, Activities and Relationships. 2006. pp. 93–104. Solé J, Salembier P. Adaptive Quadratic Interpolation Methods for Lifting Steps Construction. In IEEE International Symposium on Signal Processing and Information Technology, , ISSPIT 2006. Vancouver, Canada; 2006. pp. 1–8. Canton-Ferrer C, Canton-Ferrer C, Casas J, Pardàs M, Sargin M, Tekalp M. 3D Human Action Recognition In Multiple View Scenarios. In 2ones Jornades UPC de Investigación en Automática, Visión y Robótica. 2006. pp. 1–5. Solé J, Salembier P. A Common Formulation for Interpolation, Prediction, and Update Lifting Design,. In IEEE International Conference on Acoustics, Speech, and Signal Processing, ICASSP 2006. Toulouse, France; 2006. pp. 1–4. Giró-i-Nieto X, Camps N. Solucions de programari lliure en un projecte d'adaptació de dades a XML. In V Jornades de Programari Lliure de la UPC. 2006. Landabaso J-L, Pardàs M, Casas J. Reconstruction of 3D shapes considering inconsistent 2D silhouettes. In International Conference on Image Processing. 2006. pp. 1–4. Canton-Ferrer C, Canton-Ferrer C, Casas J, Pardàs M. Human Model and Motion Based 3D Action Recognition in Multiple View Scenarios. In 14th European Signal Processing Conference. 2006. pp. 1–1. Canton-Ferrer C, Casas J, Pardàs M. Head Pose Detection based on Fusion of Multiple Viewpoint Information. In CLEAR'06 Evaluation Campaign and Workshop - Classification of Events, Activities and Relationships. 2006. pp. 305–310. Landabaso J-L, Pardàs M. Cooperative background modelling using multiple cameras towards human detection in smart-room. In 14th European Signal Processing Conference. 2006. pp. 1–5. Salvador J, Casas J. Voxelització Adaptada a les Imatges en Entorns Multicàmera. In 2ones Jornades UPC de Investigación en Automática, Visión y Robótica. 2006. pp. 1–6. Giró-i-Nieto X, Marqués F. From Partition Trees to Semantic Trees. In International Workshop on Multimedia Content Representation, Classification and Security. 2006. pp. 306–313. Giró-i-Nieto X, Marqués F. From Partition Trees to Semantic Trees. In 2ndas Jornades UPC de Investigación en Automática, Visión y Robótica. 2006. pp. 187–194. Casas J, Salvador J. Image-based Multi-view Scene Analysis using 'Conexels'. In HCSNet Workshop on the Use of Vision in Human-Computer Interaction (VisHCI 2006). 2006. pp. 203–212. Luque J, Morros JR, Anguita J, Farrús M, Macho D, Marqués F, et al.. Multimodal Person Identification in a Smart Room. In IV Jornadas en Tecnología del Habla. 2006. pp. 327–331. Vilaplana V, Martínez C, Javier C, Marqués F. Face Recognition Using Groups of Images in Smart Room Scenarios. In International Conference on Image Processing. 2006. pp. 2071–2074. Dorea C, Pardàs M, Marqués F. Generation of long-term color and motion coherent partitions. In International Conference on Image Processing. 2006. pp. 581–584. Ferran C, Giró-i-Nieto X, Marqués F, Casas J. BPT Enhancement based on Syntactic and Semantic criteria. In 1st International Conference on Semantic and Digital Media Technologies. 2006. pp. 184–198. López J, Mercader M, Marqués F, Batiste O. Rotating convection: Eckhauss-Benjamin-Feir instability. In 59th Annual Meeting of the APS Division of Fluid Dynamics. 2006. pp. 2004–2004. Salvador J, Casas J. Image-adapted voxelization in multicamera settings. In International Workshop on Multimedia Signal Processing. 2006. pp. 161–165. Descampe A, De Vleeschouwer C, Iregui M, Macq B, Marqués F. Pre-fetching strategies for remote and interactive browsing of JPEG2000 images. In International Conference on Image Processing. 2006. pp. 3203–3206. Canton-Ferrer C, Canton-Ferrer C, Casas J, Tekalp M, Pardàs M. Projective Kalman Filter: Multiocular Tracking of 3D Locations Towards Scene Understanding. In 2nd Joint Workshop on Multimodal Interaction and Related Machine Learning Algorithms. 2005. Vilaplana V, Giró-i-Nieto X, Salembier P, Marqués F. Region-based extraction and analysis of visual objects information. In Fourth International Workshop on Content-Based Multimedia Indexing, CBMI 2005. Riga, Letonia; 2005. Landabaso J-L, Pardàs M. Foreground Regions Extraction and Characterization Towards Real-Time Object Tracking. In 2nd Joint Workshop on Multimodal Interaction and Related Machine Learning Algorithms. 2005. pp. 241–249. Garcia O, Casas J. Functionalities for mapping 2D images and 3D world objects in a Multicamera Environment. In 6th International Workshop on Image Analysis for Multimedia Interactive Services. 2005. Giró-i-Nieto X, Marqués F. Detection of Semantic Objects using Description Graphs. In IEEE International Conference on Image Processing. Genova, Italy; 2005. Solé J, Salembier P. Adaptive Generalized Prediction for Lifting Schemes. In IEEE International Conference on Acoustics, Speech, and Signal Processing, ICASSP 2005. Philadelphia, USA; 2005. pp. 205–208. Correa P, Czyz J, Umeda T, Marqués F, Marichal X, Macq B. Silhouette-based Probabilistic 2D Human Motion Estimation for Real-Time Applications. In IEEE International Conference on Image Processing. 2005. pp. 836–839. Xu L-Q, Landabaso J-L, Pardàs M. Shadow removal with blob-based Morphological Reconstruction for Error Corretion. In 2005 IEEE International Conference on Acoustics, Speech, and Signal Processing. 2005. pp. 729–732. Anton M, Vall-Llosera M, Torres J, Romeu J, Jofre L, Sole F, et al.. Collaborative Network Space: Infrastructure and Learning Application. In IEEE Region 8 EUROCON 2005 Conference: Computer as a tool. 2005. pp. 803–806. Chang C, Pardàs M, Marqués F. A Motion-based Binary Partition Tree approach to Video Object Segmentation. In IEEE International Conference on Image Processing. 2005. pp. 430–433. Canton-Ferrer C, Canton-Ferrer C, Casas J, Pardàs M. Fusion of multiple viewpoint information towards 3d face robust orientation detection. In IEEE International Conference on Image Processing. 2005. Canton-Ferrer C, Canton-Ferrer C, Casas J, Pardàs M. Towards a bayesian approach to robust finding correspondances in multiple view geometry environments. In Workshop on Computer Graphics and Geometric Modelling. Intrernational Conference on Computational Science. 2005. pp. 281–289. Ferran C, Casas J. Object representation using colour, shape and structure criteria in a Binary Partition Tree. In IEEE International Conference on Image Processing. 2005. Landabaso J-L, Pardàs M. Hierarchical Representation of Scenes using Activity Information. In 2005 IEEE International Conference on Acoustics, Speech, and Signal Processing. 2005. pp. 677–680. Sayrol E, Soriano M, Fernandez M, Casanelles J, Tomàs J. Development of a platform offering video copyright protection and security against illegal distribution. In Security, Steganography, and Watermarking of Multimedia Contents. 2005. pp. 76–83. Soriano M, Fernandez M, Sayrol E, Buliart J, Casanelles J, Pegueroles J, et al.. Multimedia copyright protection platform demonstrator. In Third International Conference on Trust Management (iTrust'05). 2005. pp. 411–414. Vilaplana V, Marqués F. Support Vector Data Description Based on PCA Features for Face Detection. In 13th European Signal Processing Conference. 2005. Marqués F, Jofre L, Sole F, Sabate F, Berenguer J, Romeu J, et al.. El concepto NetCampus. In 3es Jornadas de la Cátedra Telefónica-UPC. 2005. pp. 15–20. Casas J, Puig-Sitjes A, Puig-Folch P. Spatial-temporal Video Analysis for Improved Pedestrian Detection: Application to Density Estimation and Tracking in Demonstrations. In Image Analysis for Multimedia Interactive Services. 2004. pp. 334–346. Giró-i-Nieto X, Aragon M, Prats X, Acero L. The Moonlight project: bringing light to our satellite. In Proceedings of the 4th International Conference on Solar Power from Space SPS'04 The 4th International Conference on Solar Power SPS'04 together with the 5th International Conference on Wireless Power transmissions WPT 5. 2004. pp. 99–100. Solé J, Salembier P. Prediction design for discrete generalized lifting. In Conference on Advanced Concepts for Intelligent Vision Systems, ACIVS 2004. Brussels, Belgium; 2004. pp. 78–82. Solé J, Salembier P. Adaptive Discrete Generalized Lifting for Lossless Compression. In IEEE International Conference on Acoustics, Speech, and Signal Processing, ICASSP 2004. Montreal, Canada; 2004. pp. 1–5. Dorea C, Pardàs M, Marqués F. A region-based algorithm for image segmentation and parametric motion estimation. In Image Analysis for Multimedia Interactive Services. 2004. Broquetas A, Hernando J, Marqués F, Romeu J. Definició d'un Master Internacional de Recerca: la proposta del Departament de Teoria del Senyal i Comunicacions. In Jornada de reflexión y trabajo sobre el modelo docente de la UPC en el Espacio Europeo de ecuación Superior (EEES). 2004. pp. 1–3. Ferran C, Casas J. Binary-Partition Tree creation using a quasi-inclusion criterion. In 8th International Conference on Information Visualization (IV04). 2004. pp. 259–264. Lobo A, Bas P, Marqués F. Enhanced audio data hiding synchronization using non-linear filter. In International Conference on Acoustics, Speech, and Signal Processing. 2004. pp. 885–888. Landabaso J-L, Pardàs M, Xu L-Q. Robust Tracking and Object Classification Towards Automated Video Surveillance. In International Conference on Image Analysis and Recognition. 2004. pp. 46333–470. Jofre L, Sole F, Sabate F, Marqués F, Romeu J, Torres J. Una Enginyeria per a la Societat del Coneixement. In II Congrés d'Enginyeria en Llengua Catalana. 2004. Acero LL, Aragón À, Giró-i-Nieto X, Prats X. The Moon Orbital Mirror. In 54th International Astronautical Congress (IAC). Bremen, Germany; 2003. Giró-i-Nieto X, Marqués F. Detection of Semantic Entities using Description Graphs. In 4th European Workshop on Image Analysis for Multimedia Interactive Services (WIAMIS). London, England; 2003. Ruiz-Hidalgo J, Salembier P. Metadata-based coding tools for hybrid video codecs. In Picture Coding Symposium, PCS 2003. Saint-Malo, France; 2003. pp. 473–477. Casas J, Kompatsiaris I, Strintzis M. Advanced content-based semantic scene analysis and information retrieval: the Schema Project. In 4th European Workshop on Image Analysis for Multimedia Interactive Services_x000D_. 2003. pp. 43–45. O'Connor N, Sav S, Adamek T, Mezaris V, Kompatsiaris I, Lui T, et al.. Region and object segmentation algorithms in the QIMERA segmentation platform. In Third International Workshop on Content-Based Multimedia Indexing. 2003. pp. 95–103. Avrithis Y, Stamou G, Wallace M, Marqués F, Salembier P, Giró-i-Nieto X, et al.. Unified access to heterogeneous audiovisual archives. In International Conference on Knowledge Management. Graz, Austria; 2003. pp. 1–2. Landabaso J-L, Pardàs M, Bonafonte A. HMM recognition of expressions in unrestrained video intervals. In International conference on Acoustics, Speech, and Signal Processing. 2003. pp. 197–200. Ventosa S, Sayrol E, Vidal J. Perceptual mask estimation from watermarked images. In SPIE Electronic Imaging 2003. 2003. pp. 10–17. Salembier P, Ruiz-Hidalgo J. Connected Operators Based on Reconstruction Process for Size and Motion Simplification. In IEEE International Conference on Acoustics, Speech, and Signal Processing, ICASSP 2002. Orlando, USA; 2002. Salembier P, Ruiz-Hidalgo J. On Filters by Reconstruction for Size and Motion Simplification,. In Int. Symposium on Mathematical Morphology, ISMM 2002. Sydney, Australia; 2002. pp. 425–434. Garrido L, Salembier P. A framework for the retrieval of multiple regions using Binary Partition Trees and low level descriptors. In 11th European Signal Processing Conference, EUSIPCO 2002. Toulouse, France; 2002. pp. 512–516. Marqués F, Pardàs M, Morros JR. Object matching based on partition information. In IEEE International Conference on Image Processing. 2002. pp. 829–832. Pardàs M, Bonafonte A, Landabaso J-L. Emotion recognition based on MPEG-4 facial animation parameters. In IEEE International Conference on Acoustics, Speech, and Signal Processing. 2002. pp. 3624–3627. Marqués F, Sobrevals C. Facial Feature Segmentation from Frontal View Images. In 11th European Signal Processing Conference (EUSIPCO 2002). 2002. pp. 33–36. Vidal J, Maribel M, Sayrol E. Color Image Watermarking Using Channel-State Knowledge. In SPIE Electronic Imaging 2002. 2002. pp. 214–221. Gasull A, Fábregas FX, Jiménez J, Marqués F, Moreno V, Herrero M. Oil Spills Detection in SAR Images using Mathematical Morphology. In 11th European Signal Processing Conference (EUSIPCO 2002). 2002. pp. 25–28. Ruiz-Hidalgo J, Salembier P. Robust segmentation and representation of foreground key-regions in video sequences. In International Conference on Acoustics, Speech and Signal Processing ICASSP'01. Salt Lake City, USA; 2001. pp. 1565–1568. Pineda N, Jorge J, Garrido L, Salembier P. Estudio de campos de golf mediante técnicas de segmentación. In IX Congreso Nacional de Teledetección. Lleida, Spain; 2001. Salembier P. MPEG-7: What’s next for visual content representation and analysis?. In International Workshop on Very Low Bit Rate Video Coding 2001, VLBV 2001. Athens, Greece; 2001. Salembier P. An overview of MPEG-7 Multimedia Description Schemes and of future visual information analysis challenges for content-based indexing. In International Workshop on Content-Based Multimedia Indexing, CBMI 2001. Brescia, Italy; 2001. Salembier P. An overview of the MPEG-7 standard and of future challenges for visual information analysis. In Workshop on Image Analysis for Multimedia Services, WIAMIS 2001. Tampere, Finland; 2001. Pardàs M, Marcos L. Facial Parameter Extraction System based on Active Contours. In IEEE International Conference on Image Processing. 2001. pp. 1058–1061. Pardàs M, Bonafonte A. Facial Animation Parameters extraction and Expression detection using HMM. In International Conference on Augmented, Virtual Environments and 3D Imaging. 2001. pp. 120–123. Sayrol E, Fischi O, Pardàs M. Color Inititialization for Lip Tracking. In International Conference on Augmented, Virtual Environments and 3D Imaging. 2001. pp. 351–354. Vilaplana V, Marqués F. Join detection and segmentation of human faces in color images. In International Conference on Augmented, Virtual Environments and 3D Imaging. 2001. pp. 347–350. Bescós J, Torres L, Menendez J, Vilà J, Cisneros G, Marqués F, et al.. An open integrated system for video indexing. In International Workshop on Content-Based Multimedia Indexing. 2001. pp. 322–333. Schelkens P, Giró-i-Nieto X, Barbarien J, Cornelis J. 3D compression of medical data based on cube-splitting and embedded block coding. In ProRISC/IEEE Workshop. Veldhoven, The Netherlands; 2000. Salembier P, Garrido L. Connected operators based on region-tree pruning strategies. In 15th IAPR International Conference on Pattern Recognition, ICPR 2000. Barcelona, Spain; 2000. pp. 371–374. Salembier P, Garrido L. Connected operators based on region-tree pruning. In Mathematical Morphology and its application to signal processing, ISMM 200. Palo Alto, USA; 2000. pp. 169–184. Salembier P, Llach J, Garrido L. Creation of visual segment trees for MPEG-7 Description Schemes. In International Symposium on Image / video Communications over Fixed and Mobile Networks, ISIVC'2000. Rabat, Morocco; 2000. pp. 127–134. Salembier P, Llach J, Garrido L. Visual Segment Tree Creation for MPEG-7 Description Schemes. In IEEE International Conference on Multimedia and Expo, ICME'2000 . New York City, NY, USA; 2000. pp. 56–61. Maziere M, Chassaing F, Garrido L, Salembier P. Segmentation and tracking of video objects for content-based video indexing. In IEEE International Conference on Multimedia and Expo, ICME'2000. New York City, NY, USA; 2000. pp. 305–309. Eugenio F, Marqués F, Gómez L, Suarez E, Rovaris E. Accurate and automatic NOAA-AVHRR image navigation using a global contour matching approach. In International Geoscience and remote Sensing Symposium. 2000. pp. 639–642. Marqués F, Vilaplana V. A morphological approach for segmentation and tracking of human faces. In 15th IAPR International Conference on Pattern Recognition. 2000. Marqués F, Vilaplana V. A morphological approach for segmentation and tracking of human faces. In International Symposium on Image/Video Communications over Fixed and Mobile Networks. 2000. pp. 38–43. Broquetas A, Toronjo C, Gasull A, Fábregas FX, Moreno V, Herrero M. Detección de vertidos de petróleo en el mar a partir de imágenes SAR. In XV Simposium Nacional de la Unión Científica Internacional de Radio. 2000. pp. 327–328. Vidal J, Sayrol E, Maribel M. Data Hidding in Color Images using Perceptual Models. In COST 254 Intelligent Processing and Facilities for Communications Terminals. 2000. pp. 21–25. Pardàs M, Sayrol E. A new approach to active contours for tracking. In IEEE International Conference on Image Processing. 2000. Pardàs M. Extraction and tracking of the eyelids. In International Conference on Acoustics, Speech and Signal Processing. 2000. Marcotegui B, Marqués F, Wollborn M. Partition-based image representation as basis for user-assisted segmentation. In IEEE International Conference on Image Processing. 2000. Eugenio F, Marqués F, Suarez E, Rovaris E. A contour matching approach for accurate NOAA-AVHRR image navigation. In 10th European Signal Processing Conference (EUSIPCO 2000). 2000. Llach J, Salembier P. Analysis of video sequences : table of content and index creation. In International Workshop on Very Low Bitrate Video, VLBV'99. Kobe, Japan; 1999. pp. 51–54. Salembier P, O'Connor N, Correia P, Pereira F. Hierarchical visual description schemes for still images and video sequences. In 1999 IEEE International Conference on Image Processing, ICIP 1999. Kobe, Japan; 1999. Moravec K, Ruiz-Hidalgo J, Harvey R, Bangham J. Towards stereo from scale-trees. In 7th International Conference on Image Processing and its Applications. 1999. pp. 52–56. Garrido L, Salembier P, Casas J. Representing and retrieving regions using binary partition trees. In 1999 IEEE International Conference on Image Processing, ICIP 1999. Kobe, Japan; 1999. Sayrol E, Vidal J, Cabanillas S, Santamaría S. Optimum Watermark Detection in Color Images. In 1999 IEEE International Conference on Image Processing. 1999. pp. 1–5. Morros JR, Marqués F. A proposal for dependent optimization in scalabale region-based coding systems. In 1999 IEEE International Conference on Image Processing. 1999. pp. 295–299. Salembier P, O'Connor N, Correa P, Ward L. The DICEMAN description schemes for still images and video sequences. In Workshop on Image Analysis for Multimedia Application Services, WIAMIS’99. Berlin, Germany; 1999. pp. 25–34. Pardàs M. Automatic Face Analysis for Model Calibration. In International Workshop on Synthetic and natural hybrid coding and three dimensional imaging. 1999. pp. 12–15. Vidal J, Sayrol E, Cabanillas S, Santamaría S. Non-Noticeable Information Embedding in Color Images : Marking and Detection. In 33rd ANNUAL - 1999 International Carnahan Conference on Security Technology. 1999. pp. 293–297. Vilaplana V, Marqués F. A region-based approach to face segmentation and tracking in video sequences. In VIII Reunión de Trabajo en Procesamiento de la Información y Control. 1999. pp. 345–350. Marcotegui B, Correia P, Marqués F, Mech R, Rosa R, Wollborn M, et al.. A video generation tool allowing friendly user interaction. In 1999 IEEE INternational Conference on Image Processing. 1999. Bangham J, Ruiz-Hidalgo J, Harvey R, Cawley G. The segmentation of images via scale-space trees. In British Machine Vision Conference. Southampton, UK; 1998. pp. 33–43. Ruiz-Hidalgo J, Bangham J, Harvey R. Robust morphological scale-space trees. In Noblesse Workshop on Non-Linear Model Based Image Analysis. 1998. pp. 133–139. Garrido L, Salembier P. Region-based analysis of video sequences with a general merging algorithm. In 9th European Signal Processing Conference, EUSIPCO 1998. Rhodes, Greece; 1998. pp. 1693–1696. Vilaplana V, Marqués F, Salembier P, Garrido L. Region-based segmentation segmentation and tracking of human faces. In 9th European Signal Processing Conference, EUSIPCO 1998. Rhodes, Greece; 1998. pp. 311–314. Salembier P, Garrido L, García D. Auto-dual connected operators based on iterative merging algorithms. In International Symposium on Mathematical Morphology and its applications to image and signal processing, ISMM 1998. Amsterdam, The Netherlands; 1998. pp. 183–190. Salembier P, Pujol O, Garrido L. Connected operators for sprite creation and layered representation of image sequences. In 9th European Signal Processing Conference, EUSIPCO 1998. Rhodes, Greece; 1998. pp. 2105–2108. Salembier P, Garrido L. Binary partition tree as an efficient representation for filtering, segmentation and information retreival. In IEEE International Conference on Image Processing, ICIP 1998. Chicago (IL), USA; 1998. Pardàs M. Video Object Segmentation introducing depth and motion information. In IEEE International Conference on Image Processing. 1998. Vidal J, Sayrol E, Lagunas M. Autentificacion digital de imagen, marcado y detección óptimos. In XIII Simposium Nacional de la Unión Científica Internacional de Radio. 1998. pp. 105–106. Vilaplana V, Marqués F. Face segmentation using connected operators. In Mathematical Morphology and its applications to image and signal processing. 1998. pp. 207–214. Vidal J, Sayrol E. Optimum Watermark Detection and Embedding in Digital Images. In 1998 IEEE Second Workshop on Multimedia Signal Processing. 1998. pp. 285–290. Morros JR, Marqués F. Scalable segmentation-based coding of video sequences addressing content-based functionalities. In IEEE International Conference on Image Processing. Santa Barbara, USA: IEEE; 1997. pp. 1-4. Oliveras A, Garrido L, Salembier P. Stereo image analyis using connected operators. In IEEE International Conference on Acoustics, Speech, and Signal Processing, ICASSP 1997. Munich, Germany; 1997. pp. 3169–3172. Garrido L, Salembier P, Oliveras A. Anti-extensive Connected Operators with Application to Image Sequences. In VII Simposium Nacional de Reconocimiento de Formas y Análisis de Imágenes. Barcelona, Spain; 1997. pp. 151–156. Garrido L, Oliveras A, Salembier P. Motion analysis of image sequences using connected operators. In SPIE Visual Communications and Image Processing, VCIP'97. San Jose, CA, USA; 1997. pp. 546–557. Garrido L, Marqués F, Pardàs M, Salembier P, Vilaplana V. A hierarchical technique for image sequence analysis. In Workshop on Image Analysis for Multimedia Application Services, WIAMIS'97. Louvain-la-Neuve, Belgium; 1997. pp. 13–20. Salembier P, Sanson H. Robust motion estimation using connected operators. In IEEE International Conference on Image Processing, ICIP'97. Santa Barbara, USA; 1997. pp. 77–80. Salembier P, Garrido L, García D. Image sequence analysis and merging algorithms. In International Workshop on Very Low Bit-rate Video, VLBV'97. Linköping, Sweden; 1997. pp. 1–8. Pardàs M. Relative depth estimation and segmentation in monocular sequences. In 1997 PICTURE CODING SYMPOSIUM. 1997. pp. 367–372. Casas J. Morphological Interpolation for Image Coding. In ICAOS '96: 12th International Conference on Analysis and Optimization of Systems Images, Wavelets and PDEs . Paris; 1996. pp. 295–304. Morros JR, Marqués F, Pardàs M, Salembier P. Video sequence segmentation based on rate-distortion theory. In SPIE Visual Communication and Image Processing, VCIP'96. Orlando, Florida, USA: Proc. SPIE 2727, 1185; 1996. Salembier P, Meyer F, Brigger P, Bouchard L. Morphological operators for very low bit rate video coding. In IEEE International Conference on Image Processing, ICIP 1996. Lausanne, Switzerland; 1996. pp. 659–662. Salembier P, Ayuso X. Very low rate video coding using active triangular mesh. In IEEE International Conference on Acoustics, Speech & Signal Processing, ICASSP 1996. Atlanta (GA), USA; 1996. pp. 97–110. Salembier P, Martí E, Pardàs M. Active mesh coding and rate distortion theory. In IEEE International Conference on Image Processing, ICIP 1996. Lausanne, Switzerland; 1996. Salembier P, Marqués F, Pardàs M. Segmentation-based video coding: temporal links and rate control. In VIII European Signal Processing Conference, EUSIPCO'96. Trieste, Italy; 1996. pp. 455–458. Marqués F, Salembier P, Pardàs M, Morros JR, Corset I, Jeannin S, et al.. A segmentation-based coding system allowing manipulation of objects. In IEEE International Conference on Image Processing, ICIP 1996. Lausanne, Switzerland; 1996. pp. 145–175. Pardàs M, Salembier P, Marqués F, Morros JR. Partition tree for a segmentation-based video coding system. In IEEE International Conference on Acoustics, Speech, and Signal Processing, ICASSP 1996. Atlanta (GA), USA; 1996. pp. 1982–1985. Salembier P, Oliveras A. Practical extensions of connected operators. In International Symposium on Mathematical Morphology, ISMM 1996. Atlanta (GA), USA; 1996. pp. 97–110. Salembier P. Motion compensated partition coding. In SPIE Visual Communication and Image Processing, VCIP'96. Orlando, Florida, USA; 1996. pp. 403–415. Oliveras A, Salembier P. Generalized connected operators. In SPIE Visual Communication and Image Processing, VCIP'96. Orlando, Florida, USA; 1996. pp. 2727–2771. Salembier P, Oliveras A, Garrido L. Motion connected operators for image sequences. In VIII European Signal Processing Conference, EUSIPCO'96. Trieste, Italy; 1996. pp. 1083–1086. Marqués F, Gasull A. Partition coding using multigrid chain code and motion compensation. In IEEE INTERNATIONAL CONFERENCE ON IMAGE PROCESSING. 1996. Torres L, Casas J. Prediction error image coding using a modified stochastic vector quantization scheme. In IEEE International Conference on Image Processing. 1996. pp. 451–454. Marqués F. A segmentation-based coding system allowing manipulation of objects (sesame). In IEEE INTERNATIONAL CONFERENCE ON IMAGE PROCESSING. 1996. Casas J, Torres L. Strong edge features for image coding. In International Symposium on Mathematical Morphology and its Applications to Image and Signal Processing III. 1996. pp. 443–450. Casas J, Torres L. A feature-based subband coding schene. In THE 1996 IEEE INTERNATIONAL CONFERENCE ON ACOUSTICS, SPEECH & SIGNAL PROCESSING. 1996. pp. 2357–2360. Salembier P, Rué R. Texture coding using morphological interpolation. In IEEE workshop on Nonlinear Signal and Image Processing, NSIP 1995. Halkidiki, Greece; 1995. Casas J, Salembier P, Torres L. Morphological interpolation for texture coding. In IEEE International Conference on Image Processing, ICIP 1995. Washington DC, USA; 1995. pp. 903–907. Torres L, Casas J, Campins J. An efficient technique of texture representation in segmentation-based image coding schemes. In IEEE INTERNATIONAL CONFERENCE ON IMAGE PROCESSING. 1995. pp. 588–591. Marqués F, Fioravanti S, Brigger P. Coding of image partitions by morphological skeleton using overlapping structuring elements. In IEEE WORKSHOP ON NONLINEAR SIGNAL AND IMAGE PROCESSING. 1995. pp. 250–253. Torres L, Casas J. New approaches to texture coding in segmentation and feature-based image coding schemes. In International Conference on Digital Signal Processing. 1995. pp. 12–17. Sayrol E, Gasull A, R. Fonollosa J. Estimation of motion parameters using hos. In IEEE SIGNAL PROCESSING-ATHOD WORKSHOP ON HIGHER-ORDER STATISTICS. 1995. pp. 262–265. Sayrol E, Gasull A, R. Fonollosa J. Fourth-order statistics cost functions: applications to time delay estimation and image motion estimation. In VI SPANISH SYMPOSIUM ON PATTERN RECOGNITION AND IMAGE ANALYSIS. 1995. pp. 543–548. Salembier P, Lopez F. Self-referred texture coding for segmentation-based codec. In SPIE Visual Communication and Image Processing, VCIP'94. Chicago (IL), USA; 1994. Pardàs M, Salembier P. Joint region and motion estimation with morphological tools. In International Symposium on Mathematical Morphology, ISMM 1994. Fontainebleau, France; 1994. Serra J, Salembier P. Opérateurs connexes et pyramides. In In Proc. of RFIA. Paris, France; 1994. Salembier P, Gu C, Pardàs M, Kunt M. Very low bit rate video coding using morphological segmentation and contour/texture motion compensation. In 12th International Conference on Pattern Recognition, ICPR 1994. Jerusalem, Israel; 1994. Casas J, Esteban P, Moreno A, Carrera M. Morphological scheme for morphometric analysis of epidermal biopsy images. In International Symposium on Mathematical Morphology and its Applications to Image Processing II. Fontainebleau; 1994. Casas J, Torres L. Feature-based video coding using Mathematical Morphology. In VII European Signal Processing Conference (EUSIPCO). Edinburgh: EURASIP; 1994. Torres L, Casas J, Diego D. Segmentation based coding of textures using stochastic vector quantization. In IEEE International Conference on Acoustics, Speech and Signal Processing. 1994. pp. 553–556. Marqués F, Bouchard L, Corset I, Jeannin S, Morros JR, Pardàs M, et al.. Interleaved segmentation and motion estimation by means of morphological tools. In Workshop on Image Analysis and Synthesis in Image Coding. Berlin, Germany; 1994. Gimeno D, Torres L, Casas J. A new approach to texture coding using stochastic vector quantization. In IEEE International Conference on Image Processing'94. 1994. pp. 119–123. Pardàs M, Salembier P, Gonzalez B. Motion region overlapping for segmentation-based video coding. In International Conference on Image Processing, ICIP'94. Austin, Texas; 1994. pp. 428–431. Pardàs M, Salembier P. Time-recursive segmentation of image sequences. In European Signal Processing Conference, EUSIPCO-94. Edinburgh, UK; 1994. pp. 18–21. Marqués F, Gasull A, Vera V. Hierarchical image sequence model for segmentation: application to region-based sequence coding. In VISUAL COMMUNICATION AND IMAGE PROCESSING. 1994. pp. 554–563. Marqués F, Vera V, Gasull A. Recursive image sequence segmentation by hierarchical models. In 12th IAPR International Conference on Pattern Recognition. 1994. pp. 523–525. Marqués F, Vera V, Gasull A. Top-down 3d image sequence segmentation technique controlled by morphological. In EUSIPCO-94. 1994. pp. 415–418. Casas J, Torres L. Morphological filter for lossless image subsampling. In IEEE International Conference on Image Processing'94. 1994. pp. 903–907. Casas J, Torres L. Coding of significant features in very low bit-rate video systems. In SPIE'S Visual Communications'94. 1994. pp. 73–85. Casas J, Torres L. Residual image coding using mathematical morphology. In IEEE International Conference on Acoustics, Speech and Signal Processing. 1994. pp. 597–600. Casas J, Torres L, Jareño M. Efficient coding of residual images. In SPIE Visual Communications '93. Cambridge, MA: SPIE; 1993. pp. 694–705. Salembier P. Application of mathematical morphology to picture coding. In General Assembly of URSI, 1993. Kyoto, Japan; 1993. Salembier P, Marqués F. Object-based image coding with morphological segmentation and efficient contour coding. In IEEE International Conference on Signal Processing, ICSP'93. Beijing, China; 1993. Serra J, Salembier P. Connected operators and pyramids. In SPIE Image Algebra and Mathematical Morphology. San Diego (CA), USA; 1993. pp. 65–76. Salembier P, Torres L, Pardàs M, Marqués F, HIERRO P, Gasull A. Morphological segmentation-based coding of image sequences. In IEEE European Conference on Circuits Theory and Design. Davos, Switzerland; 1993. pp. 1245–1250. Salembier P. Multi-criterion segmentation for image coding. In International Symposium on Mathematical Morphology and its applications to image and signal processing, ISMM 1993. Barcelona, Spain; 1993. pp. 40–45. Pardàs M, Salembier P, Torres L. 3D morphological segmentation or image sequence processing. In IEEE Winter Workshop on Nonlinear Signal Processing. Tampere, Finland; 1993. pp. 31–36. Salembier P, Serra J, Bangham J. Edge versus contrast estimation of morphological filters. In IEEE International Conference on Acoustics, Speech, and Signal Processing, ICASSP 1993. Mineapolis (MI), USA; 1993. Marqués F, Salembier P, Navarro X, Sañudo J. Morphological scheme for myalinated nerve fiber morphometric analysis. In International Symposium on Mathematical Morphology and its applications to image and signal processing, ISMM 1993. Barcelona, Spain; 1993. pp. 122–126. Salembier P. Morphological approach to segmentation-based image coding. In Picture Coding Symposium, PCS 1993. Lausanne, Switzerland; 1993. pp. 121–122. Salembier P. Unsupervised morphological segmentation for images. In IEEE Winter Workshop on Nonlinear Signal Processing. Tampere, Finland; 1993. pp. 21–26. Pardàs M, Salembier P. 3D morphological segmentation and motion estimation for image sequences. In International Symposium on Mathematical Morphology and its applications to image and signal processing, ISMM 1993. Barcelona, Spain; 1993. pp. 58–63. Sayrol E, Gasull A. Image analysis using higher-order statistics and the random transfor. In WORKSHOP ON HIGHER-ORDER STATISTICS. 1993. Casas J. Codificacion run-length de imagenes de detalle. In VIII Simposium Nacional de la Unión Científica Internacional de Radio. 1993. pp. 349–399. Marqués F. Cuantificador vectorial con clasificador difuso para la codificacion. In VIII Simposium Nacional de la Unión Científica Internacional de Radio. 1993. pp. 369–373. Marqués F. Cuantificacion de lesiones de columna vertebral a partir de imagenes. In VIII Simposium Nacional de la Unión Científica Internacional de Radio. 1993. pp. 433–437. Montolio P, Gasull A, Corbera L, Marqués F. Character recognition and document analysis by morphological techniques. In WORKSHOP ON MATHEMATICAL MORPHOLOGY AND ITS APPLICATIONS TO SIGNAL PROCESSING. 1993. pp. 198–203. Sayrol E, Nikias C, Gasull A. Image analysis using higher-order statistics and the radon transfrom. In IEEE SIGNAL PROCESSING WORKSHOP ON HIGH-ORDER-STATISTICS. 1993. pp. 76–80. Marqués F, Gasull A. Stochastic image model for segmentation. application to image coding. In SCANDINAVIAN CONFERENCE ON IMAGE ANALYSIS. 1993. pp. 265–272. Marqués F, Gasull A. Unsupervised segmentation controlled by morphological contrast ext. In ICASSP. 1993. pp. 517–520. Gasull A, Corbera L, Marqués F. Character recognition and document analysis by morphological techniq. In MATHEMATICAL MORPHOLOGY. 1993. pp. 198–203. Marqués F, Gasull A. Shape and location coding for contour images. In PROC. OF THE 1993 PICTURE CODING SYMPOSIUM. 1993. pp. 61–63. Casas J, Hillion A, Roux C, Torres L, Gasull A. Fuzzy classification of Remote Sensing images: a pseudocolor representation of fuzzy partitions. In SPIE Neural and Stochastic Methods in Image and Signal Processing. San Diego, CA: SPIE; 1992. Salembier P. Adaptation of grey level structuring elements for morphological filters with application to shape detection. In VI European Signal Processing Conference, EUSIPCO'92. Brussels, Belgium; 1992. pp. 1137–1140. Salembier P, Serra J. Morphological multiscale image segmentation. In SPIE Visual Communication and Image Processing, VCIP'92. Boston, USA; 1992. pp. 620–631. Salembier P, Gasull A, Marqués F, Sayrol E. Morphological detection based on size and contrast criteria. In 14th Annual International Conference of the IEEE Engineering in Medicine and Biology Society. Paris, France; 1992. pp. 1930–1031. Casas J, Torres L, Gasull A. Una interpretación colorimétrica en clasificaciones fuzzy de imágenes de teledetección. In V Simposium Nacional de Reconocimiento de Formas y Análisis de Imágenes. 1992. pp. 281–287. Marqués F. Classified vector quantization with fuzzy theory. In INTERNATIONAL CONFERENCE ON FUZZY SYSTEMS. 1992. pp. 237–244. Pardàs M, Torres L. Connectivity filters for image sequences. In IMAGE ALGEBRA AND MORPHOLOGICAL IMAGE PROCESSING. SPIE. 1992. pp. 318–329. Marqués F, Gasull A. Codificacion de imagenes:un metodo de segunda generacion. In VII Simposium Nacional de la Unión Científica Internacional de Radio. 1992. pp. 144–148. Gasull A, Marqués F, Torres L. Técnicas de preprocesado para la segmentación de imágenes. In VII Simposium Nacional de la Unión Científica Internacional de Radio. 1992. pp. 367–371. Marqués F, Gasull A. Segmentacion de imagenes multiespectrales con tecnicas piramidales. In VII Simposium Nacional de la Unión Científica Internacional de Radio. 1992. pp. 372–376. Gasull A, Marqués F, Torres L. Non-linear techniques for image interpolation. In VI European Signal Processing Conference. 1992. pp. 1473–1476. Marqués F, Gasull A. Codificacion de imagenes: un metodo de segunda generacion. In VII Simposium Nacional de la Unión Científica Internacional de Radio. 1992. pp. 144–148. Bonafonte A, Pardàs M, Mariño J. N-best hypotheses:an approach taking into account coarticulation. In EUROPEAN SIGNAL PROCESSING CONFERENCE. 1992. pp. 379–382. Marqués F, Gasull A. Segmentacion no supervisada de imagenes mediante campos aleatorios. In SIMPOSIUM NACIONAL DE RECONOZIMIENTO DE FORMAS Y ANALISIS IMAGENES. 1992. pp. 55–62. Bonafonte A, Mariño J, Pardàs M. Efficient integration of coarticulation and lexical information .. In INTERNATIONAL CONFERENCE ON SPOKEN LANGUAGE PROCESSING. 1992. pp. 45–48. Gasull A, Marqués F, Montolio P, Torres L. Técnicas de preprocesado para la segmentación de imágenes. In U.R.S.I. 92. 1992. pp. 367–371. Gasull A, Vallverdu F, Marqués F. Coagulation time detection by means of a real-time image processing. In 14th Annual International Conference of the IEEE Engineering in Medicine and Biology Society. 1992. pp. 1948–1949. Salembier P, Jaquenoud L. Adaptive morphological multiresolution decomposition. In SPIE Image Algebra and Mathematical Morphology. San Diego, USA; 1991. pp. 620–631. Marqués F, Gasull A, Torres L. Obtencion de un esqueleto morfologico sin puntos redundantes. In VI Simposium Nacional de la Unión Científica Internacional de Radio. 1991. pp. 980–984. Oliveras A, Fuertes J, Villà R. Tou - Brazo Robot Asistencial: Control Verbal. In 2º Congreso de la Asociación Española de Robótica. 1991. pp. 93–100. Marqués F, Gasull A. Segmentacion de imagenes mediante modelos de gibbs-markov. In VI Simposium Nacional de la Unión Científica Internacional de Radio. 1991. pp. 975–979. Marqués F, Gasull A. Codig-oriented segmentation based on g-m random. In International Conference on Acoustics, Speech and Signal Processing 1991. 1991. pp. 2749–2752. Gasull A, Marqués F, Torres L. Analisis de no estacionariedades en la interpolacion de imagenes. In VI Simposium Nacional de la Unión Científica Internacional de Radio. 1991. pp. 985–989. Casas J, Torres L. Diseño de filtros de imagen con funciones de transferencia. In VI Simposium Nacional de la Unión Científica Internacional de Radio. 1991. pp. 965–969. Lleida E, Oliveras A, Nadeu C, Mariño J. Two level c.s.r. using demisyllable. In EUROPEAN CONF. ON SPEECH COMMUN. AND TECHN. EUROSPEECH'91. 1991. pp. 1199–1202. Gasull A, Torres L. Analisis y optimizacion del algoritmo k-means aplicado a teledeteccion en ima. In IV Simposium Nacional de Reconocimiento de Formas y Análisis de Imágenes. 1990. pp. 17–23. Gasull A, Torres L. Contour extraction and image preprocessing of echocardiographic images using r. In Latvian Signal Processing International Conference. 1990. pp. 26–30. Nadeu C, Oliveras A, Mariño J. Simbad:a tool for speech analysis and synthesis. In IASTED INT.CONF.SIGNAL PROC.&DIG.FILT. 1990. Gasull A, Torres L. Eleccion de componentes principales para la clasific. no supervisada de image. In IV Simposium Nacional de Reconocimiento de Formas y Análisis de Imágenes. 1990. pp. 9–16. Torres L, Gasull A. Temporal automatic edge detection of echocardiographic images. In ICASSP. 1990. pp. 2149–2152. Vazquez G, Gasull A, Sanchez J, Lagunas M. Constant variance transversal filtering for adaptive channel equalization. In INTERNATIONAL CONFERENCE ON SONAR SIGNAL PROCESSING. 1989. pp. 212–215. Gasull A, Alquezar R, Torres L, Sallent S, Marqués F, Vidal J, et al.. Automated left ventricular contour extraction and volume calculation form echocardiographic images. In Ultrasonics International 89. 1989. pp. 1–4. Gasull A, Vazquez G. Automatic left ventricular contour for volume calculation. In Ultrasonics International 89. 1989. pp. 123–126. Sallent S, Torres L, Gasull A. Codificación piramidal generalizada. In III Simposium Nacional de Reconocimiento de Formas y Análisis de Imágenes. 1988. pp. 1–2. Gasull A, Marqués F, Sallent S, Torres L, Vidal J. Detección automática de contornos en imágenes ecográficas. In III Simposium Nacional de Reconocimiento de Formas y Análisis de Imágenes. 1988. pp. 1–4.